The Trifinov Monastery founded in 16th century. The buildings we see today were built in 17-18th century. The Transfiguration Convent founded in 1624. 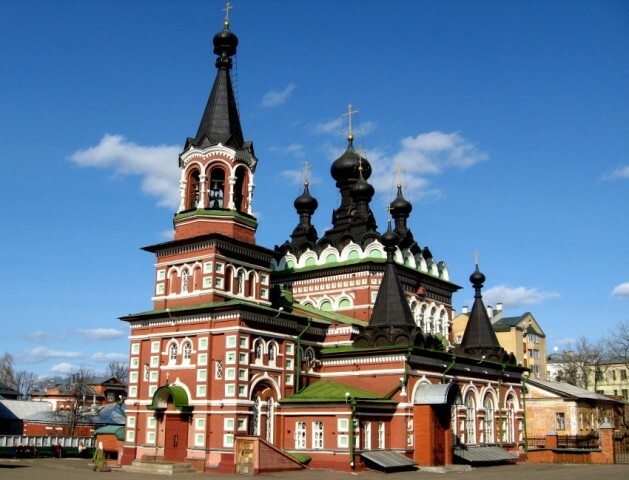 The Serafim Sarovsky Cathedral built in 1906. Perhaps the most beautiful and eye-catching building in the center of the city is the KGB office. 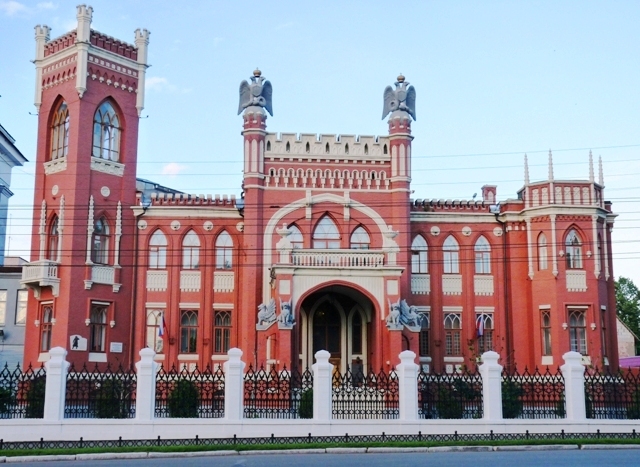 It was built as a mansion of a rich local merchant to be confiscated in favour of this law enforcement agency after the 1917 October Revolution. The best place for a stroll is the Alexandrovsky Park. The park was specially laid as a promenade and opened for the public in 1835. The walking street in central Kirov. 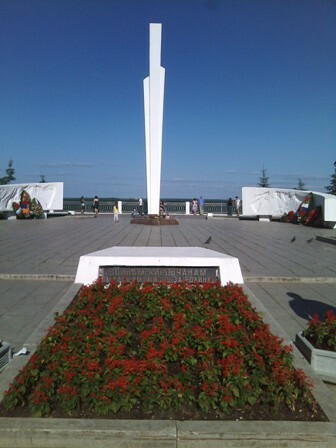 The war memorial on a high bank of the Vyatka River. The village of Velikoretskoe is located 87 km from Kirov not far from the road which takes a car traveler to the Komi Republic. The legend has it that back in 1383 St. Nicholas appeared to traveling monks while they were praying on the high bank of the Velikaya River. The apparition was immediately interpreted as a telltale sign to settle down in this place and begin building churches. As a result a whole architectural ensemble consisting of clerical and secular structures came into being. Cross and icon-bearing processions take place in Velikoretskoe every year gathering hundreds of worshippers.